My Hearthstone Hunter Deck and Hearthstone Paladin Deck is getting some traction so I am sharing another of my favorite Hearthstone Deck here in menardconnect.com. Like my previous posts on Hearthstone Deck Hunter and Hearthstone Deck Paladin, thisHearthstone Deck for Shaman is a free Hearthstone deck as all the cards used are all basic cards. This free Hearthstone Deck is ideal for starting players who like playing Hearthstone Shammys and does not have any Hearthstone Golds to boot. This Hearthstone shaman deck is a mix of minions and shaman skills. The gameplay for this deck is to survive the early game and do massive damage mid or end game. 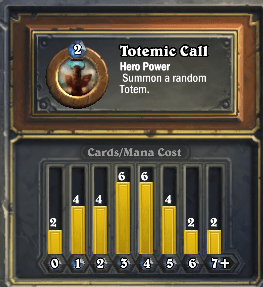 Strategy is to try putting down many minions (low cost) and buffing them with totems. Keeping the minions alive for a long time will be the key move and when the player have many minions on the board, drop the killer shaman trademark move, Bloodlust. This Shaman Hearthstone deck gave me good numbers wins in play mode and ranked mode without having me spending any Hearthstone gold. Cool huh! Hope you like my Free Hearthstone Deck for Shaman post. Previous PostPrevious Congrats Gilas Pilipinas!!! Next PostNext New Look: Hello Gamepress! Thank you Easel!